Explore Maitripa College: Join us in the classroom and in the Jokhang meditation hall, for a community lunch, and more! 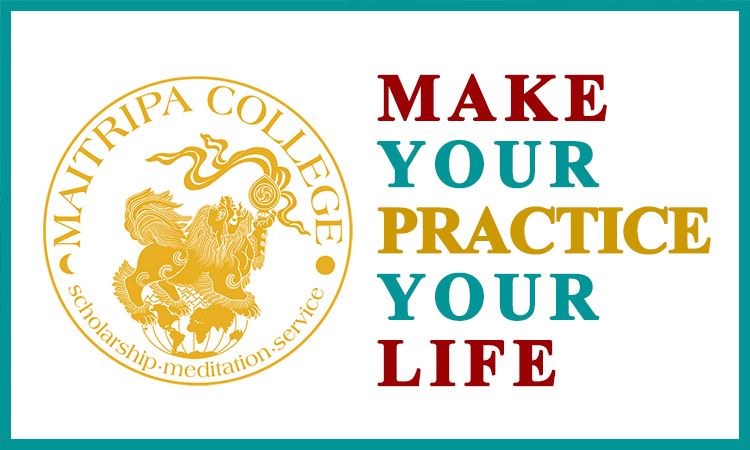 You are invited to explore the academic programs at Maitripa College and the community. This is an opportunity to attend a class and enter into discussions with staff and students about the unique experiences and academic opportunities available at the college. Friday, April 26 ~ Join Us for Classes for the Day Followed by a Meal in Community! Please join us for this first-term meditation class, in which the basics of Buddhist meditation according to the tradition are presented. Please join us for a delicious vegetarian lunch in community! Please join our Dean and Director of Programs for an hour of conversation about our degree program offerings.